Basin St. Station — the cultural crossroads of New Orleans — is a center of economic and cultural activity, representing confidence in and commitment to the richly diverse and historic city of New Orleans. Basin St. Station embodies and showcases our city’s culture, history, beauty, and spirit; in essence, what make New Orleans the most unique city in North America. Basin St. Station sits on the former home of the New Orleans Terminal Company / Southern Railway Freight Office Building. St. Louis Cemetery No. 1 (final resting place of Marie Laveau, among other legendary New Orleanians) and Basin Street are among the historical touchstones that remain in what was once the transportation crossroads of the City of New Orleans. 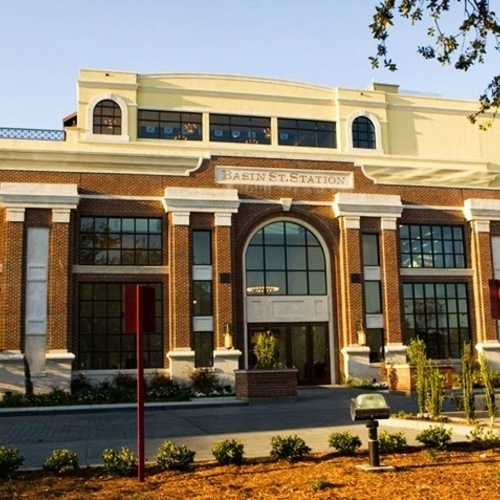 Today, Basin St. Station preserves the vestiges of the five railway stations and their associated buildings which served downtown New Orleans in the early 20th Century. Valentino New Orleans Hotels’ Basin St. Station is a four-story, 22,500 sq. ft. development with adjoining landscaped parking. 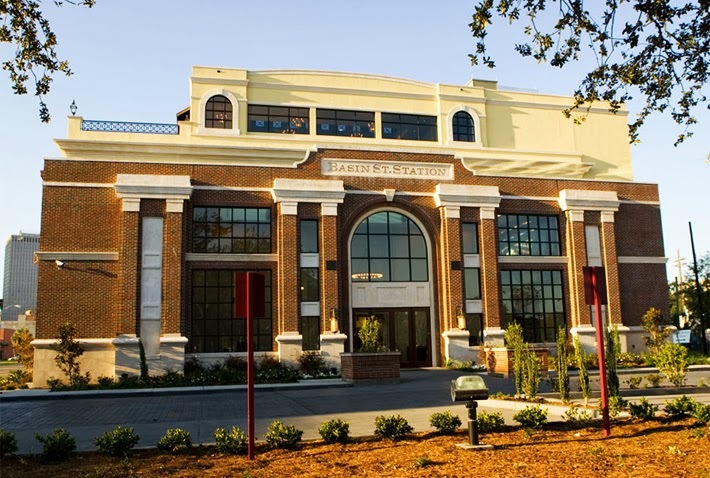 The first floor contains a staffed Visitor and Information Center, educational and community exhibits, a performance venue, a staffed walking tours kiosk, and an authentic New Orleans and Louisiana fine gift shop. The second and third Floors are beautifully decorated office spaces overlooking Basin Street, the Municipal Auditorium, St. Louis Cemetery No. 1, and downtown New Orleans. The Fourth Floor is the station’s function venue and rooftop terrace, with sweeping views of the New Orleans French Quarter and CBD. This space is ideal for accommodating meetings, receptions, live performances, and parties.